The Heritage Merchandiser Program provides clients with a turnkey product and promotion package. 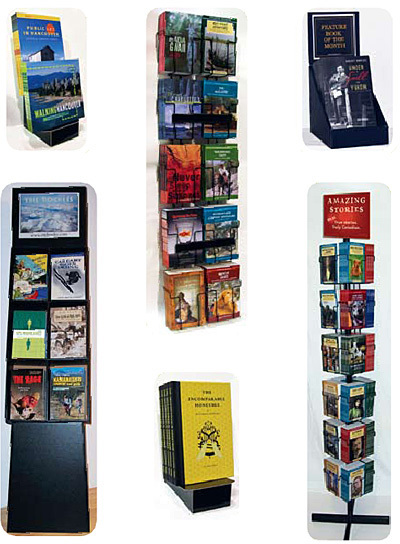 This is a low-cost way for booksellers and specialty retailers to expand sales per square foot and give western Canadian books an effective presence in their retail businesses. Heritage Group Distribution offers the best selection of western Canadiana and recreation guides available, assuring clients of a comprehensive range of well-priced books. Phone 1.800.665.3302 for more information or to arrange a presentation from a Heritage representative.